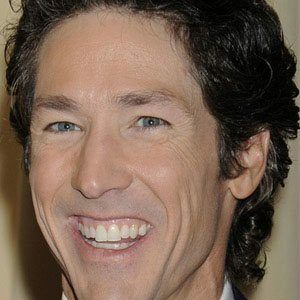 Televangelist pastor who is seen by millions on broadcasts from Lakewood Church, a megachurch in Houston Texas. He has written several New York Times Bestselling Books including 2004's Your Best Life Now, which remained on the list for more than 200 weeks. He began producing television productions for Lakewood Church in 1982, at age 20. Since 1999, his Sunday sermons have grown to reach 100 countries throughout the word. He married Victoria Iloff in 1987; the couple has two children, Jonathan and Alexandra. He was named one of 2006's Ten Most Fascinating People by Barbara Walters.